Free Spirit Publishing, 9781631981548, 24pp. 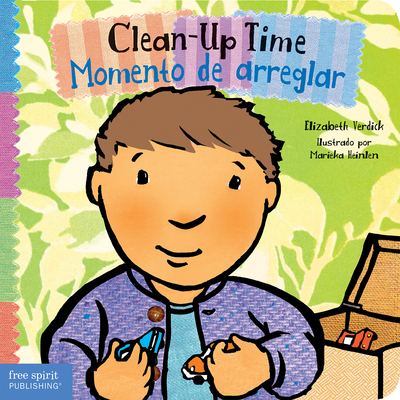 Toddlers will look forward to clean-up time with this simple bilingual English- Spanish board book that encourages them to chant along as they tidy up. Young children learn to work together to put items in their place, make a neater space, keep a smile on their face—and make room for more fun.